How a Time Billing Software Can Help Your Business? Time billing software is an essential investment for all Singapore businesses, as time is the most valuable asset. Every manager wants to pay only for those hours in which the actual work has been performed. 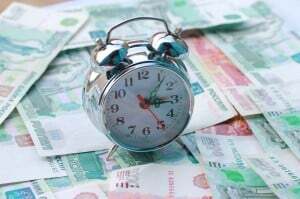 All business owners seek to pay for correct working hours but it is challenging to achieve this without using a computerized system. This effective program provides an opportunity to record proper working duration so that clients can be billed for only productive hours. Nowadays, many accounting software Singapore found in the market are simple to use, saves time, provide flexibility to track hours from home and office. Suitable users of such software includes lawyers, freelancers, consultants, project managers and businesses in which time tracking and timesheet recording are essential. Time tracker: This is an excellent resource for employees to log working hours which can also be subsequently relied upon by the employers to charge their customers for the engagements. The review feature gives ease to owner in reviewing each employee time sheet as well as business performance in very short period. Reports generation: Create various useful reports according to business nature which helps in boosting the business performance and time management of projects. Reports can also be scheduled on weekly, monthly or yearly basis. Online fast invoicing and import/export availability: Invoices and other reports can easily be printed and email to various clients. As a result invoice can be scheduled and billed punctually. Shows correct time recording which gives surety to clients that they are invoiced accurately. Provides a clear picture on which project or task the time has been spent. Gives an efficiency and effectiveness in work, as the employee will be fully focused on its main project. The employer can have access to review time billing sheet. Easily enable to employer to make sure that person has not taken slack periods and only paid for working hours. The employer can easily maintain future budget by analyzing past performance through time sheets. This application can also boost up the revenue by analyzing how much revenue can be increased by re-allocating the time spent by workers on projects. Managers are able to have a better understanding of the workflow of each employee at a glance. Business owner can do comparison between estimated and actual time to improve on the accuracy in planning the resources required for projects. There are several products available in the market for time tracking purpose but one of the top quality product for this purpose is MYOB. It helps to accomplish all these benefits and even so more. i) QuickBooks Online is able to help keep track of the time and bill the time costs to the respective customers. ii) MYOB time billing features offers valuable features which helps the manager in many ways. MYOB Premier and MYOB Premier Plus is a complete right time tracking and management package for any successful business or company as this software emphasized in achieving maximum revenue with reducing expenses. MYOB is designed and developed to give ease and accuracy to its customer. MYOB Premier and MYOB Premier Plus also caters to Multi Currency-Transactions, Multi-Users, Time-Based & Tracking and Payroll (found in MYOB Premier Plus). If your Company requires customised time billing software, we will arrange a meeting (non obligatory) to have a walk through of your business requirements. After the meeting, we will send you our recommended for you to assess and consider. Our software features are aligned with the numerous benefits that have been explained. Simple and easy to use: It is an excellent software for those Singapore companies which provides mainly professional accounting and legal services as the features are innovative, easy to use to track and record time activities. Reports Execution: An employer can customize different reports and can use data from these reports as main tool for the follow up of employee performance quickly. It also provides number of reports so that employer can review each job time. Billing reports can be viewed for variable periods such as weekly, monthly or yearly billing. Import/Export feasibility: With import/export facility, the user can send or email the printed statements for different periods to its clients.